This season, my Christmas uniform comes by way of a Carven cut-out sweatshirt, flowy pleated plaid skirt from boohoo, and UGG ankle boots-a Christmas gift from my Vogue family. The dynamic trio is a comfortable yet festive holiday look that can transition easily from day to night by switching out a few accessories. For a sunny holiday brunch with the girlfriends, I wore the look with a wide brim hat, Chilli Beans round sunnies, a boxy shoulder bag from me char, and a few key jewelry pieces. I plan on recycling the outfit to attend a more formal shindig at my friend's new pad by switching out the jewelry for statement making chandelier earrings and cocktail rings, pulling my hair into a top bun, and layering the sweatshirt with a leather jacket. An outfit that can be built and rebuilt will always withstand the test of time and the wrath of my "revolving door" closet. 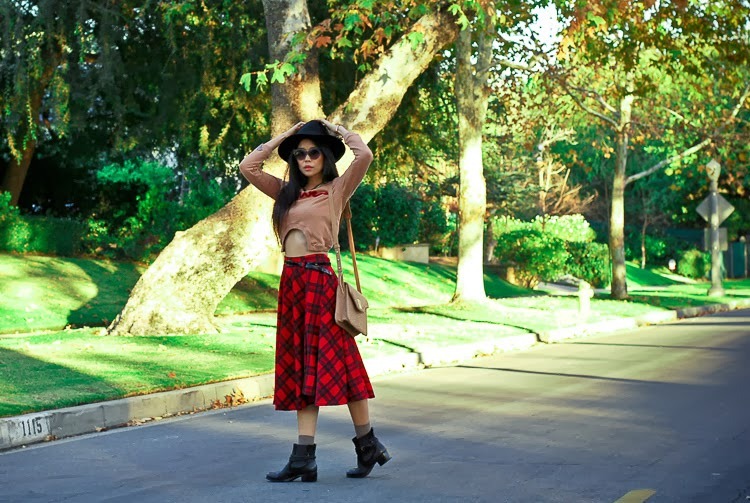 Totally love that sweater, it makes a super interesting outfit with that midi skirt! That skirt is just amazing! I'm so in love with this piece! 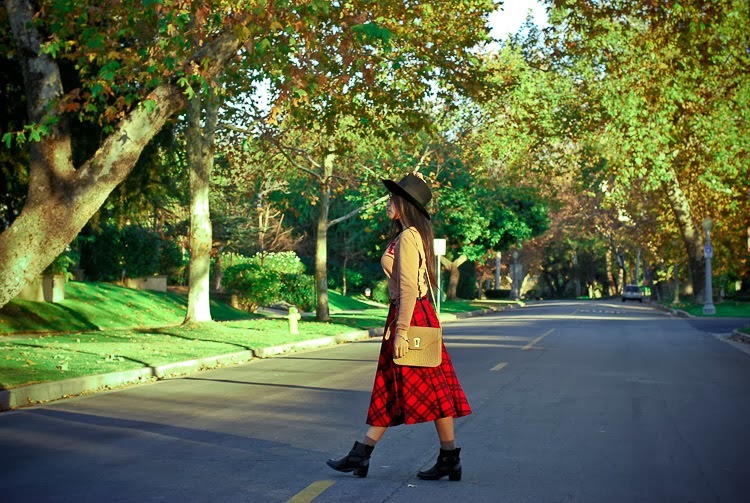 Acabo de descubrir tu blog y me gusta mucho.Te invito a pasar por mi blog,espero que te guste. Y te animes a seguirme. I love your interpretation of a holiday look. 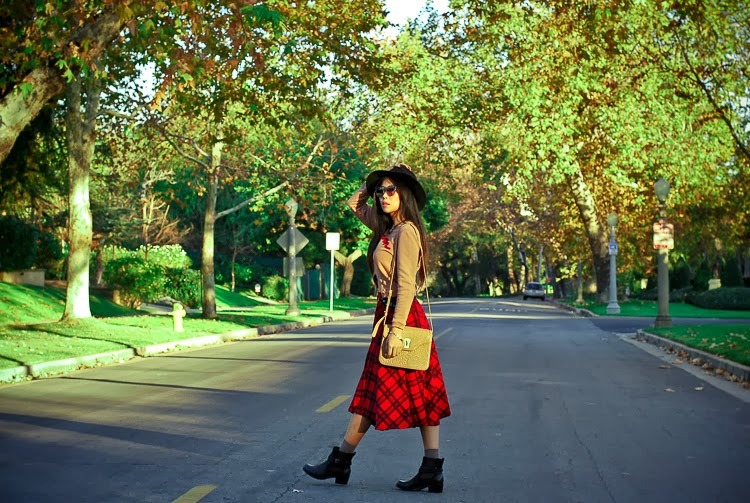 That skirt is so pretty and versatile and can be restyled so many ways. This is a very cute look. I love your handbag too. 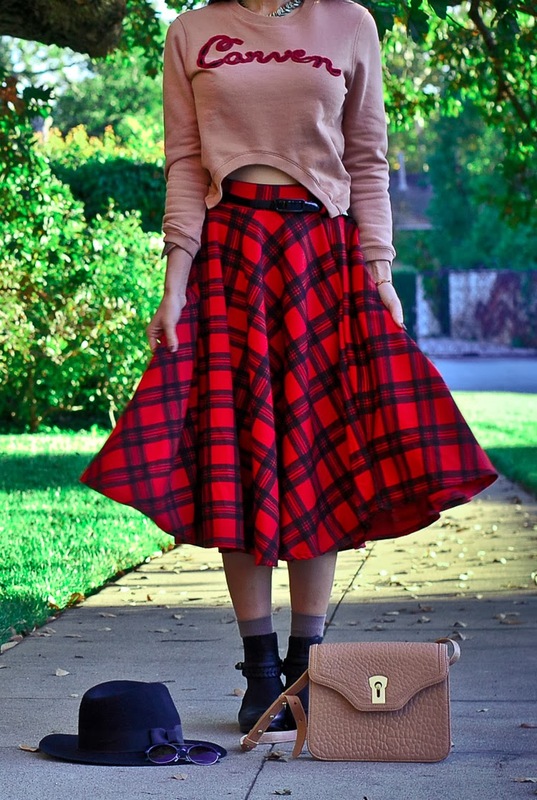 That jumper is so fun and special but I really love this skirt, perfect for this time of the year!